It’s 21 degrees right now and I’m happy to be inside where it’s warm and dry. 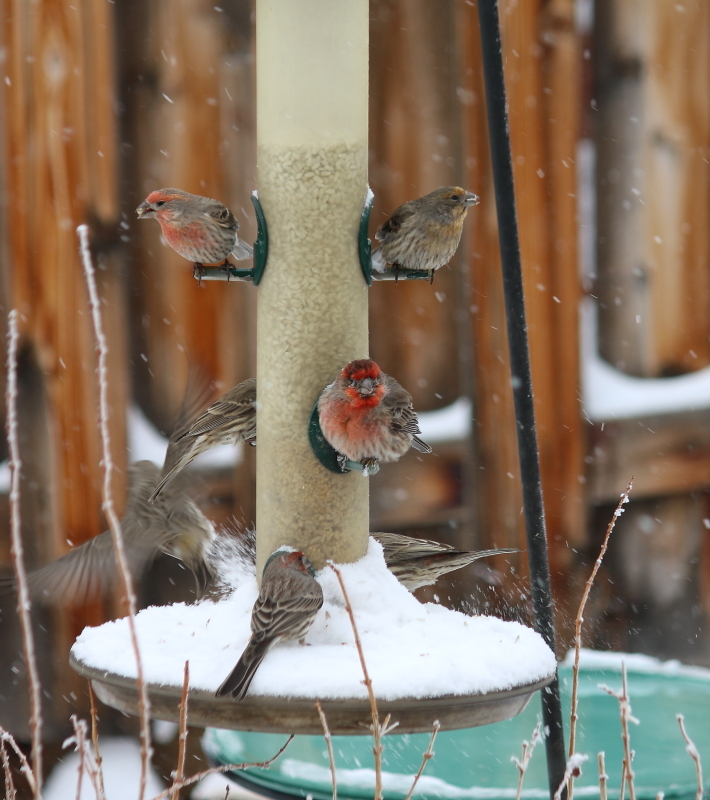 Meanwhile, these House Finches are busy outside my window with the task of staying alive, somehow almost making it look like fun. I’m always amazed how birds are able to survive winter conditions….very resilient. They’re tiny yet tough. I love birds so very much, but don’t think I’d want to be one because of the constant activity needed to survive. Same here. They don’t rest often.